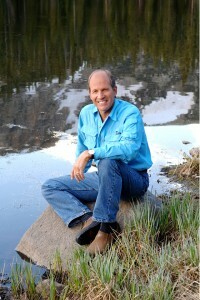 Raised on a dairy farm in Colorado, I started running in my thirties to bring down my escalating blood pressure, hit my stride in my forties and set some ultrarunning records, started adventure racing around the world, and then climbed all seven summits in my fifties. I’m fortunate to have achieved two of my long-held dreams—reaching the top of Mount Everest and running across the United States—before my sixtieth birthday. 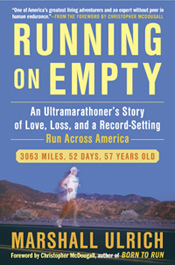 My first book, Running on Empty, is a memoir that chr0nicles the transcontinental run and includes stories of endurance from my extreme adventures, both in sport and in life. guiding expeditions through extreme environments and on the world’s great mountains, from the rain forests of the Amazon, the rugged beauty of Aconcagua, and the “roof of Africa” atop Mount Kilimanjaro to the deserts of Death Valley and Tunisia to the small village of Qikiqtarjuaq on Baffin Island … and beyond. I continue to farm in Colorado. I still run and climb mountains here, too. And I still dream. I personally attend to my Facebook page to share news and respond to posts and comments. I also send out regular messages on Twitter. My wife, Heather, publishes an e-newsletter periodically with updates on our whereabouts and latest expeditions, which will include book news as it happens. You can subscribe by joining our mailing list. You can also be notified of any new blog posts by subscribing to the RSS feed. You’re always welcome to send us an e-mail message.